Las Vegas police have identified the two men involved in the shootout with police last week as 22-year-old Fidel Miranda and 30-year-old Rene Nunez. The men's mug shots and photos of their guns were released during a press briefing July 16. The police officers involved in the shooting were identified as 43-year-old William Umana and 46-year-old Paul Solomon. 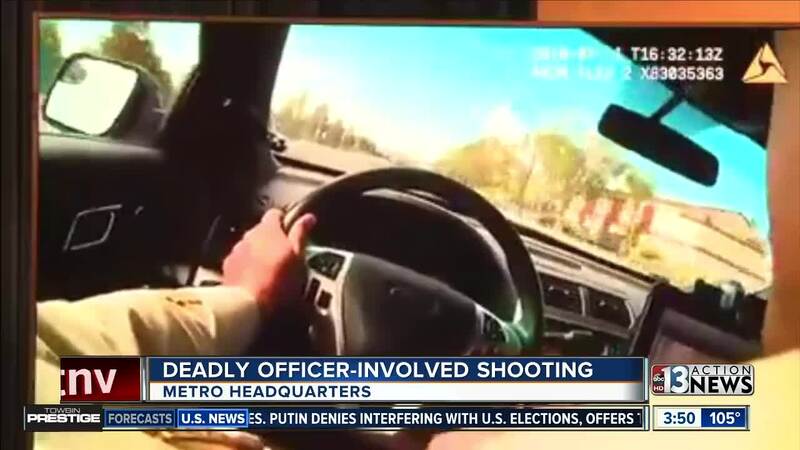 The shootout happened on July 11 in the downtown area of Las Vegas. Around 7:25 a.m. July 11, patrol officers responded to a shooting at 1402 N. Eastern Ave. A man, who has been identified as 25-year-old Thomas Romero, was shot multiple times at a car wash by a man who fled the area in a large black Ford Expedition with large tires driven by another man. Officers observed a vehicle matching the description of the vehicle involved in the earlier shooting incident at approximately 9:30 a.m. near 29th Street and Constantine Avenue. When the officers attempted to stop the vehicle, the driver took off and a chase began. 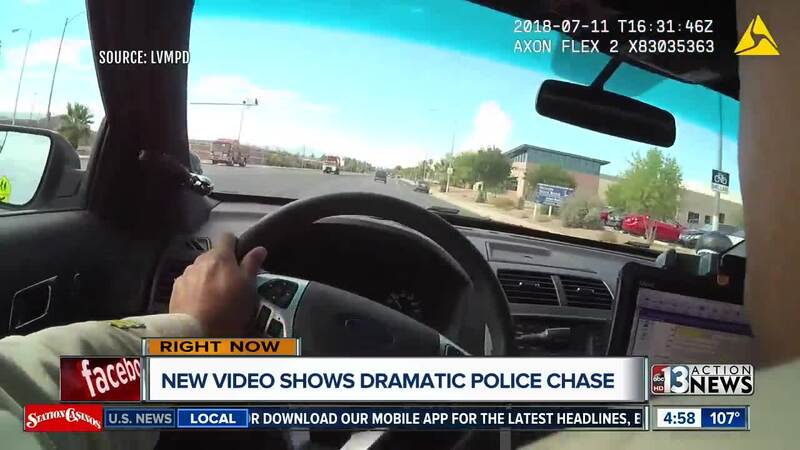 During the course of a lengthy pursuit, the suspects shot at officers several times and Officer Umana returned fire, including shooting through his windshield multiple times and out of his open car window. Nunez jumped out of the moving vehicle near Hollingsworth Elementary School near Ogden Avenue and 18th Street and attempted to escape by running into the school. Miranda was hit by a shotgun bullet fired by Officer Solomon. After that, the vehicle came to a stop and Miranda was handcuffed while medical was called. He died at the scene. The police officers were then able to arrest Nunez, who was suffering gunshot wounds. It is not known if he was shot during the chase or earlier in the morning. Nunez is still in a hospital. He has been booked in absentia on several charges, including murder and attempted murder of a police officer. Police said during the press briefing that Officer Umana fired 31 rounds and Officer Solomon fired 1 round during the incident. The suspects fired 34 rounds total.